Charm and character on the inside...an oasis on the outside! This meticulously maintained home is MOVE-IN READY with two master suites, a guest bedroom, and a den with closet/4th bedroom. 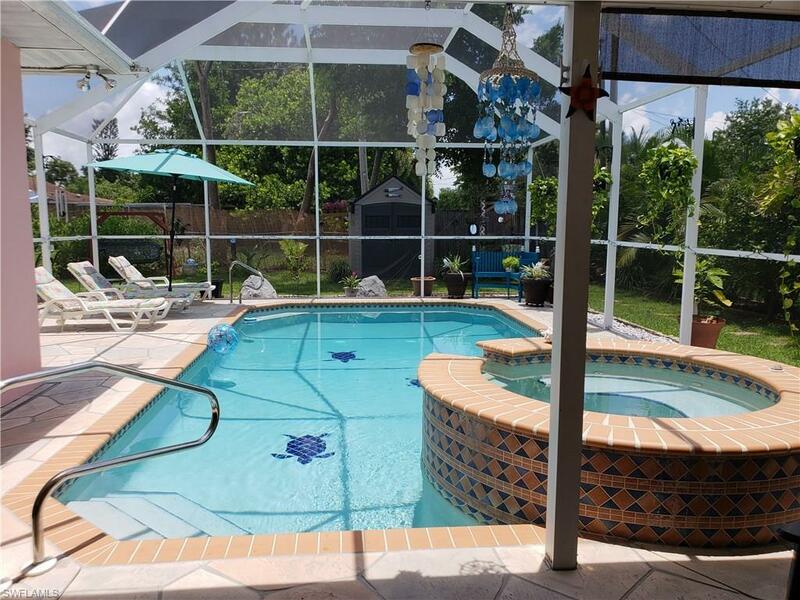 Looking for something a little different than the typical SW Florida layout? This home is for you! The home has been re-plumbed, rewired, and has a newer AC (2016). The kitchen and 3 baths have granite counter tops and wood cabinets. You'll also be thrilled with the resort-style pool and spa... you'll feel like you're on vacation every day! There is plenty of outdoor space in the screened lanai for entertaining and lounging...plus an additional patio space in the yard. The yard is completely fenced for the safety of your children and pets and has numerous fruit trees. There are two storage sheds (leaving extra room in the garage) and the seller is leaving behind his riding mower and generator. ALL ASSESSMENTS ARE PAID. Don't be put off by the single car garage...there is a TRIPLE DRIVEWAY with parking for 6-8 cars! This home is conveniently located and just a short walk or bike ride to all the shops and restaurants in the new downtown Streetscape area. Schedule your showing today...a MUST SEE!